What Is the Army BEAR Program? The Bonus Extension and Retraining (BEAR) Program is designed to assist in force alignment. It allows eligible soldiers an opportunity to extend their enlistment for formal retraining into a shortage Military Occupational Specialty (MOS) that is presently in the Selective Reenlistment Bonus (SRB) Program and, upon completion of retraining, to be awarded the new Primary MOS (PMOS), reenlist, and receive an SRB in the newly awarded PMOS. The objectives of the BEAR Program are to attract highly qualified soldiers in the rank of SSG (E-6) and below who are currently serving in an overstrength/balanced MOS to migrate into a critically short SRB MOS. Soldiers applying for the BEAR Program must be eligible for reenlistment in accordance with Army Regulation 601-280, chapter 3, without a waiver, except for the PT test. Required waivers must be approved by the appropriate waiver approval authority and attached to the application. (Ap­proved waivers for participation in the BEAR Program are valid for soldiers desiring to reenlist at the training site or within 90 days after arrival at the ultimate unit of assignment. Soldiers desiring to wait until they fall within the reenlistment eligibility window must request a waiver from appropriate waiver approval authority prior to reenlistment). Periodically, the Army Personnel Command publishes a message for all MOS's (jobs), called the "In/Out" Call Message." This message lists MOSs (jobs), and ranks, and a column for "In" (the first column), and a column for "Out" (the second column). It indicates whether re-trainees are being accepted into the MOS in that particular rank and whether members in that MOS/rank are being allowed to retrain out. For example, if the column for a specific MOS/rank says "(Y/N), that indicates that people are allowed to re-train into that MOS, but no one is allowed to re-train out of that MOS. E-3 to E-5. If the soldier’s rank is SGT (E-5) and below, the appropriate rank column for PMOS (as shown in current PERSCOM In/Out Calls message) must show N/N or N/Y at their current rank and MOS. As an exception, initial term (those who are on their first enlistment period) SGTs (E-5s) and those initial termers in the rank of SPC/CPL (E-4) with a GT score of 110 or higher, may apply for the BEAR Program without regard to the In/Out Calls. E-6. If the soldier’s rank is SSG (E-6), the appropriate rank column for PMOS (as shown in current PERSCOM In/Out Calls message) must show N/Y at their current rank and MOS. Soldiers on an initial enlistment must be rank PFC (E-3) or higher and must be eligible to extend to complete 24 months Time in Service (TIS) after completion of training. No waivers will be considered. They may apply for the BEAR Program regardless of the status of in/out calls. These soldiers will be scheduled to complete training after they have served a minimum of 21 months time in service. Critically Short BEAR MOSs. Soldiers requesting reclassification into selected MOS as published by BEAR Program message from Commander, PERSCOM, may request reclassification at any time regardless of the status of their PMOS. In other words, if PERSCOM publishes a special message, listing certain critical BEAR Program jobs that need people right away, the manning of the person's current MOS is not a factor. 82nd Airborne. Airborne qualified soldiers assigned to the 82d Airborne Division who possess a MOS that is listed as balanced (N/N) or short (Y/N) in current PERSCOM In/Out Call message, but is over-strength/balanced (N/Y) within the 82d Airborne Division, may apply for retraining into a BEAR Program MOS provided the MOS selected is authorized, and a valid requisition exists in the 82d Airborne Division. Upon successful completion of training, the soldier will return to the 82d Airborne Division to work in the new PMOS. Soldiers, other than initial term soldiers, must not have been alerted for reassignment at the time application is received at PERSCOM. First-term soldiers can apply for the BEAR program, even if they have been notified of a pending assignment. MOS 00B (Diver), CMF 18 (Special Forces - MOS 18B, 18C, 18D, 18E), and CMF 98, (Communications Intelligence - MOS 98C, 98G, 98H, 98J, 98K) BEAR Program MOS are open to all soldiers regardless of the status of their PMOS. Soldiers applying for MOS 97B (Counter Intelligence Agent) must forward the statement of interview, required essays, SBI packet, and associated forms to MI Branch, Attn: TAPC-EPL-M, prior to submission of the BEAR application. The local counterintelligence office must certify notification to that effect. The local CI officer’s POC and DSN: number must be included. Soldiers must be qualified for training in the new MOS (i.e., have the required ASVAB score, and/or DLAB Score [if required] and meet any medical requirements for the new MOS). Military members are allowed to re-take the ASVAB for retraining purposes. When the ASVAB is taken in-service, the test is called the "Armed Forces Classification Test," but it is the same test as the Armed Forces Vocational Aptitude Battery (ASVAB) that was taken when first joining the military. If one re-takes the test, the scores that are used for re-training purposes is the LATEST test scores, not the highest. Soldiers must be recommended for participation in the BEAR Program by the soldier’s immediate commander, with the recommendation based upon the personal interview. The soldier must have completed at least 2 years of active service (12 months for 2-year enlistees) and at the time of application be within 15 months of Estimated Time of Separation (ETS). Also, soldiers serving in an overseas area must be within 15 months of normal tour completion at the time of application. Soldiers must extend their enlistment so that they have at least 24 months of service remaining, following completion of training. They are not required to reenlist after training, or after the 24 month extension period, but — if they choose not to, they will not receive the selected reenlistment bonus for their new MOS until they do reenlist (bonuses are not granted for enlistment extensions, only when one reenlists). Permanent Change of Station (PCS) to a new assignment with Temporary Duty (TDY) en route to school. PCS to school, if training is in excess of 20 weeks. Attend school in TDY-and-return to original duty station status. Assignments will be made only to those commands (installations) with a current valid requisition for the MOS in which being trained. Soldiers should list three assignment preferences on, DA Form 4591-R (Assignment Preferences). The majority of approved BEAR participants attend training TDY en route to a new assignment. Also, many approved participants receive overseas assignments and some desire dependent travel. BEAR participants should not extend or reenlist to satisfy the SRRs for dependent travel at the old duty station prior to departure for training. Such an extension or reenlistment will reduce, or cause the soldier to lose SRB entitlement. If the soldier desires dependent travel, he or she should submit a request per AR 55-46 at the losing installation. AR 55-46 does not require the soldier to take action regarding SRRs at that time. If the soldier’s request is approved, the approval will be forwarded to the training site where the soldier is undergoing training; however, no action will be taken to process the soldier’s dependents for movement until the soldier successfully completes the training, is awarded the new MOS, and reenlists. Upon reenlistment, dependent travel actions may be accomplished. BEAR Program participants will be afforded a minimum of 30 days reenlistment leave if desired. The training site should request from PERSCOM an adjusted arrival month to allow time for desired leave and dependent travel. In no event should the BEAR Program participant be denied dependent travel solely because of failure to reenlist or extend for that purpose at the losing installation. Soldiers who decline assignment instructions under the BEAR Program will be processed as shown below, in the section "Removal from the Program." An SRB is paid only for “additional obligated service” and any time remaining on the extension of enlistment that is executed upon entrance into the BEAR Program is considered “previously obligated service.” An SRB will not be paid for any unserved time remaining on the extension of enlistment at the time of reenlistment following successful completion of retraining into the new PMOS. Soldiers participating in the BEAR Program may be forgiven up to 24 months of “previously obligated extended service” provided they reenlist within 90 days after completion of training. Extensions to participate in the BEAR Program are accomplished as a condition of acceptance into the program. 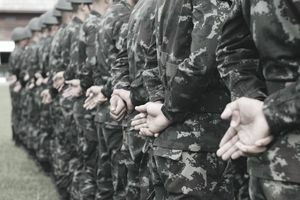 Cancellation of the extension is not authorized for soldiers who voluntarily withdraw from the program or who are involuntarily removed from the program for any reason (that is, academic failure, punishment under Uniform Code of Military Justice). The soldier is considered, in either case, to have received the benefit of the extension. Soldiers may request release from the program for hardship or compassionate reasons only. Soldiers released from the program will not be considered for re-entry into the program unless documentation is furnished to indicate the reasons for removal no longer exist. Soldiers who fail to complete the training will be removed from the program unless the training unit commander recommends that they are retained and rescheduled for a subsequent class date. Required to complete the period of service for which he or she extended under the program. Reclassified, if appropriate, and reassigned according to the needs of the Army. Soldiers with less than 6 years of active Federal service at the time of application for the BEAR Program will not be approved for retraining into an MOS under the provisions of the BEAR Program when it is obvious that by the completion of training the soldier will fall into zone B and the MOS for which he is applying is not designated for a zone B bonus. These soldiers may apply for such MOS as a normal reclassification action if otherwise qualified. Soldiers with less than 6 years of active service at the time of application who will fall into zone B while in training, may apply for a MOS in the BEAR Program that is designated for payment in zone B and will be specifically approved for zone B, even though at the time the soldier extends he is still in zone A. Should the zone B designator be reduced, increased, or eliminated, the soldier is authorized the level for which initially approved or the level at the time of reenlistment, whichever is higher. Soldiers in the rank of CPL(P) or SPC(P), who have less than 6 years of active Federal service, who apply for entry into the BEAR Program for training into a MOS that has no zone B multiplier for their rank, and who will fall into zone B prior to completion of training, may be approved for a zone B SRB at the SGT level. These soldiers will receive an SRB computed at the zone B SRB level listed for SGT in effect at the time of extension or at time of reenlistment, whichever is higher. Entitlement will be confirmed by PERSCOM upon approval of the soldier’s BEAR application.